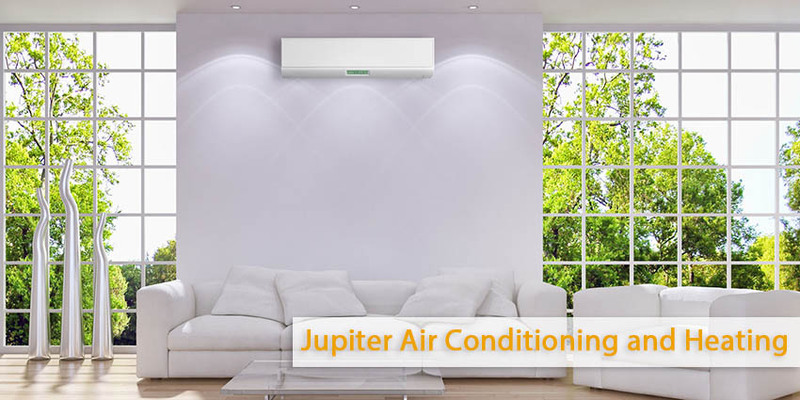 An air conditioner is considered to be a standard appliance in interior comfort. The Energy Information Administration informs that 87% of homes have an AC unit and they account for almost 20% of yearly electricity consumption in the US. At Jupiter Air Conditioning & Heating, we believe that knowledge is power because if you know better about the appliances you are using, you will more effectively operate them. The modern air conditioner was invented in 1902 by Willis Havilard Carrier. The aim of this invention was to solve the humidity problem at a printing plant in Brooklyn. The concept of using chilled water to cool down certain areas predates his invention by centuries, however it is Carrier who is credited with inventing a system of chilled coils to maintain a constant temperature. The refrigeration cycle inside your AC unit is as follows. It begins as a liquid and then goes through phase conversion to gas. Through this conversion it absorbs heat. After it , it is compressed and pushed through another phase transition back to liquid. Refrigerant is a chemical allowing this phase conversion to take place at low temperatures and it is this conversion cycle that creates what we know as modern air conditioning. The appliance forces this conversion to occur over and over again within a closed coil system. Fans inside the unit blow warm air over the evaporator. The refrigerant inside picks up the temperature of the air. As it absorbs the heat from the air it turns into a vapor. The refrigerant goes from being a cold liquid to a hot vapor. The unit blows the cool air out while the hot refrigerant vapor passes into the compressor and gets compressed to an even higher pressure and temp. This then flows over the condenser, which turns it back to a liquid and the heat is radiated away. Generally, the refrigerant absorbs the heat from the air , the latter is carried through the AC system to be pushed out the other side, while the cooled air is pushed inside. An air conditioner functions as a humidifier and dehumidifier too. You may have a moisture collection pan on your AC unit. As the refrigerant absorbs heat, it also absorbs the moisture from the air. If you have any questions or would like to schedule service, call us at (800) 407-1727.